HOTEL FLORJANČKOV HRAM, GOSTINSTVO IN HOTELSKE STORITVE, D.O.O. The roots of our inn date back to the year 1792 and sice then we have been working on our restaurant tradition. Today we run a well known restaurat called FLORJANČKOV HRAM. Our menu offers good traditional dishes in Ljubljana, as well as other home-made dishes, lunches, snacks, seasonal meat and fish dishes, and excellent wine list. When preparing the culinary offer, we mainly use ingredients that are seasonal and grown in gardens of the surrounding farms. We have always been famous for good home-made traditional dishes in Ljubljana, and in 2015 we supplemented our offer with a modern hotel, which provides comfortable and cheap accommodation if you decite to visit Slovenian capital which is a must. 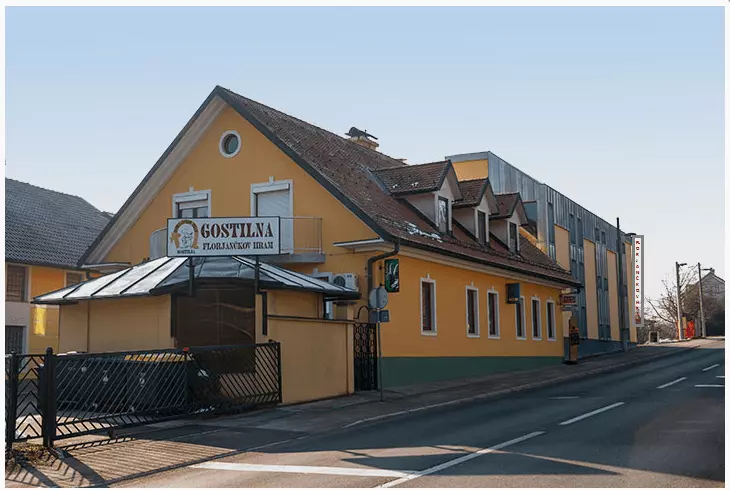 We expect you with open arms, visit our premises on Dunajska cesta 238, 1000 Ljubljana, where we offer you an unforgettable culinary experience. For all additional information and reservationsfor homemade Slovenian dishes Ljubljana, you can contact us by phone or by e-mail. We are looking forward to your visit!